Product prices and availability are accurate as of 2019-04-18 21:41:02 EDT and are subject to change. Any price and availability information displayed on http://www.amazon.com/ at the time of purchase will apply to the purchase of this product. Add flair to an artistic display or holiday festivities with warm white lights that are bright enough to light up a room, and soft enough to provide intimate, romantic lighting. 24 brightness levels and flash, smooth, and strobe effects add flair to any space and provide the ideal atmosphere for any occasion. Use the remote to adjust your lighting from any angle, regardless of obstructions. UL certified to guarantee reliability. Insulated copper wire and low temperature LEDs ensure that lights don't overheat and the strings are safe to touch, even after 15 hours of continuous use. Thin, sturdy copper wire makes Starlit String Light easy to bend and compact LED bulbs blend perfectly into whatever shapes you make. Wrap them around plants, furniture, or anything else to let your creativity shine. At eufy, we believe in our products. That's why we back them all with and provide friendly, easy-to-reach support. Set the Mood: Use warm white lighting to make any environment sparkle and create the perfect ambiance. Adjustable Brightness: 24 brightness levels and multiple effects add flair to any space and provide the ideal atmosphere for any occasion. Remote controlled to easily customize illumination. 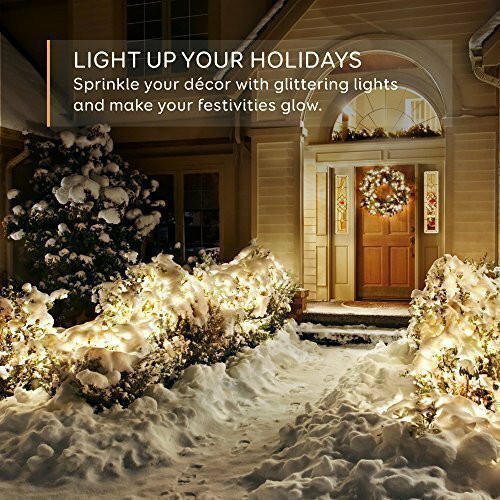 Complete Safety: UL certification, insulated copper wire and low temperature LEDs ensure the lights strings are safe to touch no matter how long they're lit. Flexible and Compact: Thin, sturdy copper wire makes the lights easy to bend into any shape. Wrap them around plants, furniture, or anything else and make your space sparkle. What You Get: Eufy Star Lit String Lights, adapter, RF controller, receiver (not waterproof), our worry-free warranty and friendly customer service.